That statement was made Thursday by David Esparon, the principal state counsel, in the Attorney General’s Office. Esparon told SNA that the suspects will now face prosecution before the court after being charged with ‘committing an act of piracy’ and ‘attempting an act of piracy’ in the Indian Ocean. The six Somali nationals were brought before Seychelles’ Supreme Court on December 11. The Attorney General’s Office “has sufficient evidence to make up a strong case, but as the incident happened at sea it has some difficulties,” added Esparon. 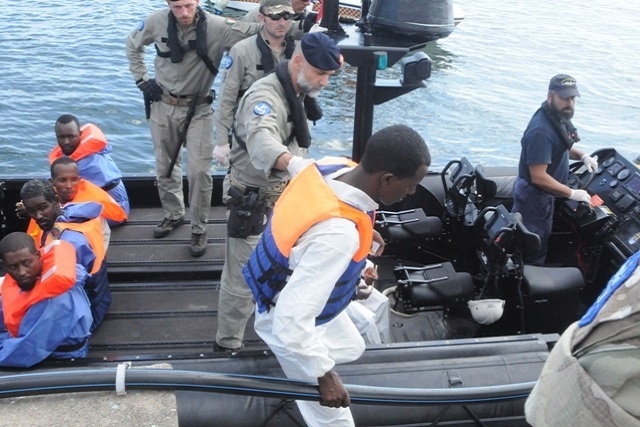 The six suspects from Somalia were apprehended by an Italian navy frigate, ITS Virginio Fasan, after they attacked a Seychelles-flagged 52,000-tonne container ship and a fishing vessel last week, the authorities said. The incident took place over a 24-hour period in November from Friday 18 to Saturday 19 in the Southern Somali Basin. The suspects were transferred to Seychelles, an archipelago in the western Indian Ocean, based on an agreement with the European Naval Force Operation Atalanta (EU NAVFOR). Esparon said the suspected pirates will serve their time in Seychelles’ prison if they are found guilty by the court, but if their country decides to have then repatriated to serve their sentence in Somalia, this can be made possible. Seychelles has been on the forefront of the fight against piracy since 2005, when the scourge began expanding, adversely impacting the nation’s tourism and fishing industries, the top pillars of its economy. There are 15 Somali detainees in Seychelles’ main prison facility at Montagne Posee.